Along with the interest taken by parents in the homeschooling community comes interest in the Learning Breakthrough Program™ as a powerful learning aid that provides a strong foundational basis on which children can accel and better meet their innate potential. Home education, also called homeschooling or home school, is the process by which children are educated at home rather than at an institution such as a public or private school. Prior to the introduction of compulsory school attendance in the 19th century, most education worldwide occurred within the family and community, with only a small proportion of the population attending schools or employing tutors. In the 20th Century, with community-based public schooling as the norm, homeschooling has become an educational alternative chosen by many thousands of parents for a wide range of social and personal preference reasons. In the United States, homeschooling can be an option for parents who wish to provide their children with a quality or style of education they believe is unattainable in their public schools. In 2003 about 1.1 million children (up 29% from 850,000 in 1999) were home-educated in the United States, which represented about 2.2% of the school age population. As educational choices become abundant through a vast array of educational products and services, computers and the World Wide Web, the idea of homeschooling in the U.S. is expanding in popularity and acceptance. Along with the interest taken by parents in the homeschooling community comes interest in the Learning Breakthrough Program™ as a powerful learning aid that provides a strong foundational basis on which children can accel and better meet their innate potential. 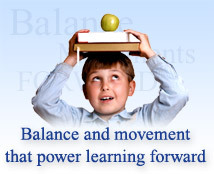 There are a wide variety of home education methods and materials available. Home education families will certainly find, that regardless of the particular educational philosophy they adopt, the Learning Breakthrough Program™ will be wonderful tool supporting the educational and personal lives of their students. We are proud to be an increasingly important partner to the parents of homeschooled children who identify with the benefits that efficient brain processing capabilities provide. Please contact us with your success stories or to learn more about group use tools and how you can introduce the program to your local homeschool support groups.